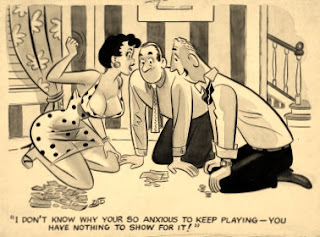 In July of 1968 Wonder Woman sales were so low, National Comics considered canceling the title. 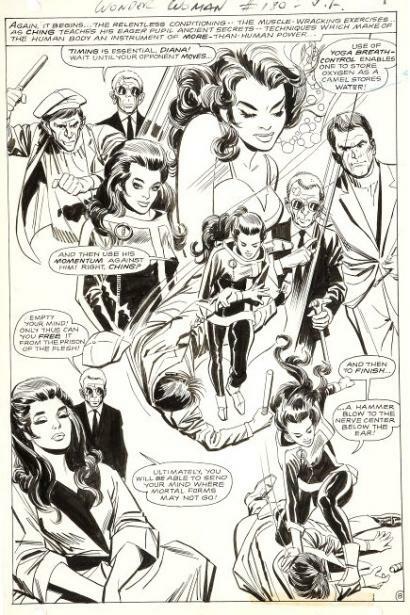 The company decided a new editor Denny O'Neil and artist/writer Mike Sekowsky should take a chance with a "mod" approach with DC's first female heroine. Starting in issue #178 Wonder Woman dropped her costume to go undercover on a case to help her love interest, Steve Trevor, as the Amazons coincidentally had to leave earth for another dimension to "renew their magic", so Diana renounced her powers remaining behind. When Trevor is kidnapped by the evil international terrorist Doctor Cyber, a powerless Diana is suddenly trained in the martial arts from a new found friend, her blind teacher known as "I Ching". In a later issue one of Cyber's henchwomen kills Steve, but by that time Diana and Ching have brought down the villainess and continued their wild adventures fighting campy witches, sword-and-sorcery heroes, hippie gangs, and even Catwoman. Diana Prince opens a "mod" clothing store in New York City and now looks and acts more like Emma Peel of "The Avengers" TV show than a former Amazon princess. 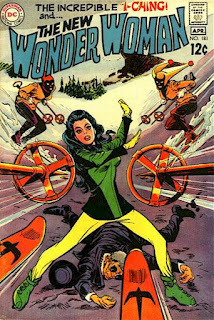 This experimental "new" Wonder Woman lasted for only twenty five issues published bi-monthly, which stretched them from 1968 to 1972, as the writing and artist teams changed, including a young science fiction author named Samuel R. Delaney. But surprisingly, due to feminist Gloria Steinem's complaints of de-powering the popular character, and publishing the old Wonder Woman in costume on her first issue of Ms. magazine with a complementary article, DC changed the heroine back as fast as she had left. Ching is killed by a car that crashed into the restaurant the couple were dining in, as Diana gets a head injury, suffers amnesia, hijacks a plane and returns to Paradise Island where her powers are restored...ending with a updated costume similar to Steinem's cover. 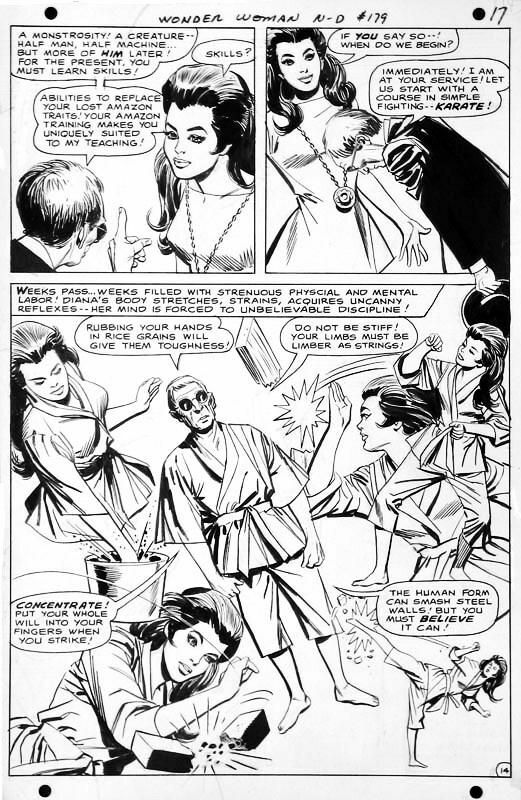 Fondly remembered by fans of the series, the "I Ching" era lived on in later issues and storylines, perhaps even to resurface again one day. Born December 12, 1919. Graduated New Rochelle High School in 1938. Then to the Art Students League for three years. Uncle Sam called in 1941, so I served four and a half years in the Army, four of them in Europe...England, France, Belgium, and Germany as a draftsman/artist with the 8th Airforce. Did cartoonist mascots for the fighter planes, murals, company comic strip and a little drafting. Married my wife, Josie, in Belgium in 1945. Discharged in 1946. 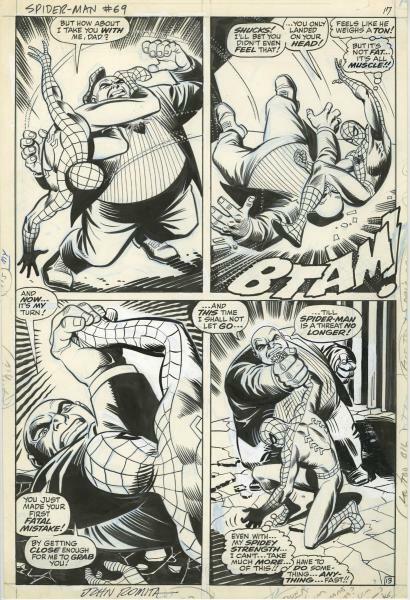 Did some gag cartooning, but not to successfully...finally landed a job at Timely Comics (Marvel). 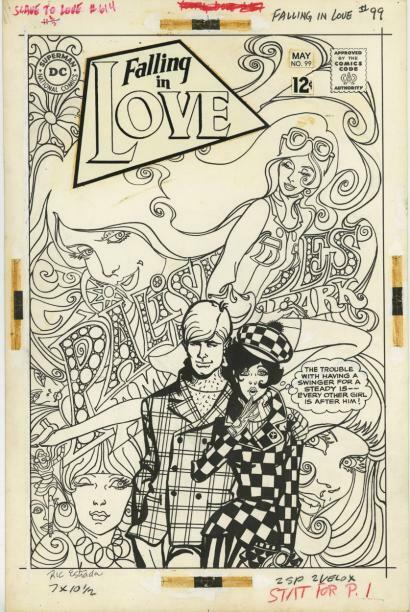 Drew Millie the Model, My Friend Irma, Sherry the Showgirl and lots of covers. Timely let go the staff...went freelancing with D.C., Timely, Ziff-Davi,s and Archie. When full time with Archie in 1957. Created Josie and the Pussycats (named after my wife). 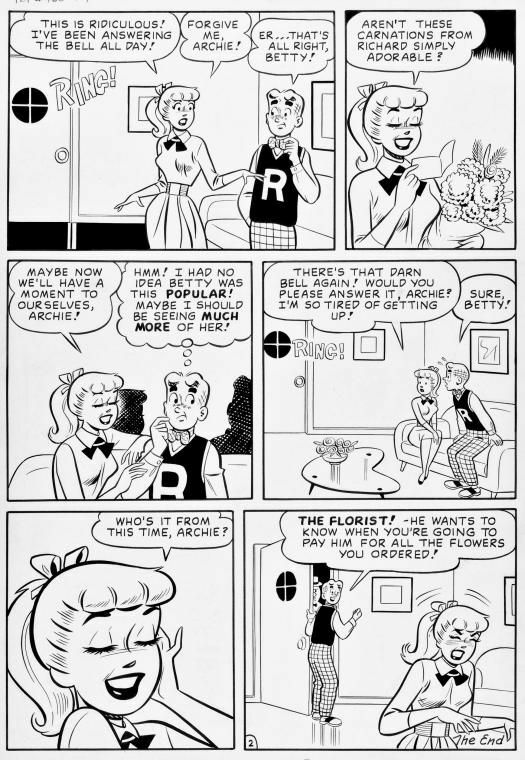 Drew all of the Archie characters...my favorites then and now is Betty and Veronica...been at it for over thirty five years...best humor penciler in 1971(ABCA) San Diego Ink Pot Award in 1991. My hobby is painting, that's about it...now back to the drawing board. 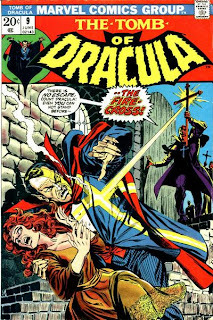 With the Comic Code Authority relaxing some of its restrictions in horror comics in the early seventies, Marvel Comics decided to publish a new series based on Bram Stoker's immortal character, as Tomb of Dracula made its debut in April of 1972. 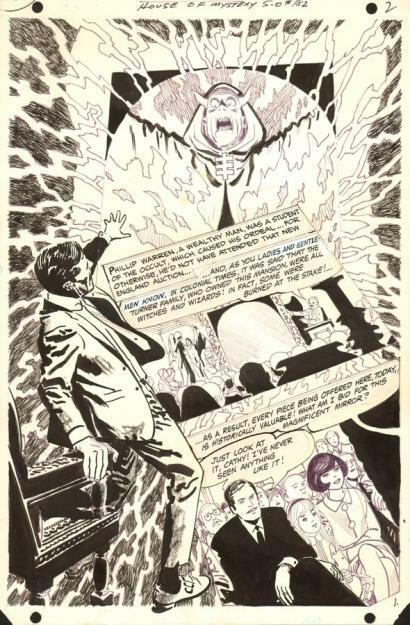 After trying out three different top-notch writers on the first six books, Marv Wolfman was chosen to finish out the seventy issues ending its chilling run in August of 1979. 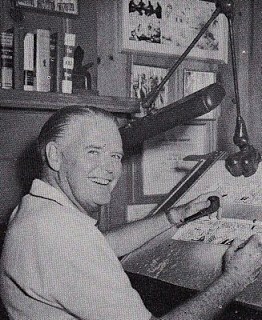 Editor Stan Lee had initially promised the art chores to artist Bill Everett, but Gene Colan was able to persuade Lee to let him illustrate the series after producing some impressive samples modeling the "Prince of Darkness" on actor Jack Palance, who eventually played the role on television. 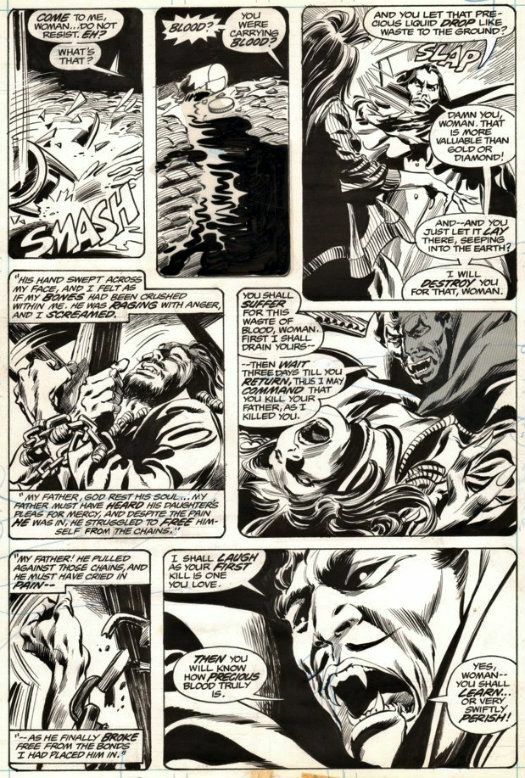 Colan proved to be the perfect choice for the feature with his moody atmospheric scenes coupled with Tom Palmer spectacular creepy inks. 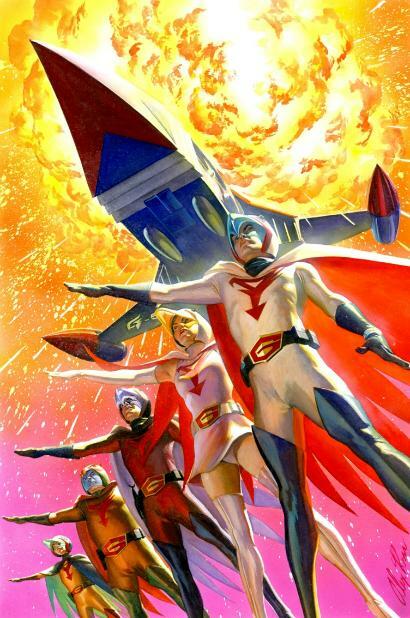 The excellent scripts revolved around a group of vampire hunters as they presued Count Dracula and in the process confronedt other supernatural menaces over the course of the series, and on a few rare occasions even teamed up with the ageless vampire to fight other overwhelming evil forces. The main characters of the cast included, Dr. Quincy Harker, Dr. Rachel van Helsing, Blade, Hannibal King, Lilith, Deacon Frost, Frank Drake, Taj Nital, Janus, Domini, and others to numerous to mention were all just as enjoyable and interesting as Dracula himself. 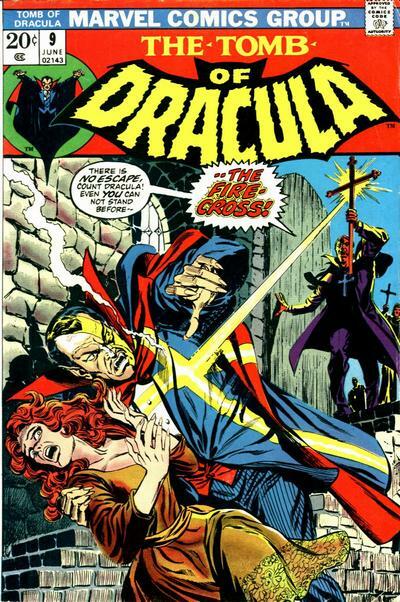 After its cancellation and double sized last issue that did a good job on summing up the feature, Dracula continued on, crossing over in other various titles, a short-run magazine attempt, and other Marvel Comics mini-series over the years. Here is another installment in my series of comic creators who describe their day to day life and work in the cartooning field. This time up is the talented Lank Leonard... 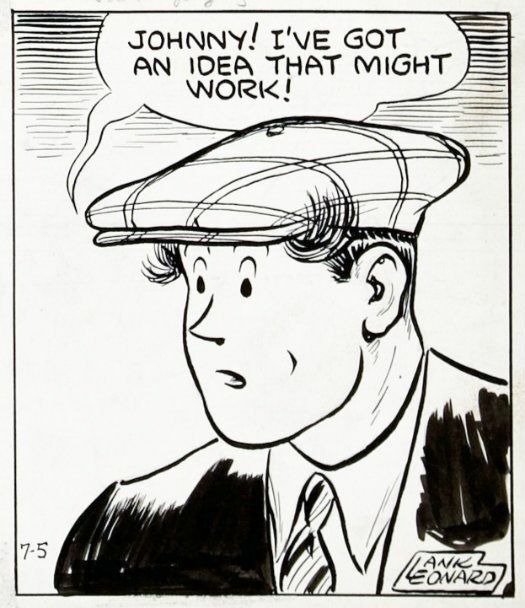 I always loved drawing, and I was determined to make my living in that field.I was encouraged by the late Clare Briggs, a noted cartoonist in his day. Briggs looked over my drawings and told me I had talent but that the drawings were pretty crude. 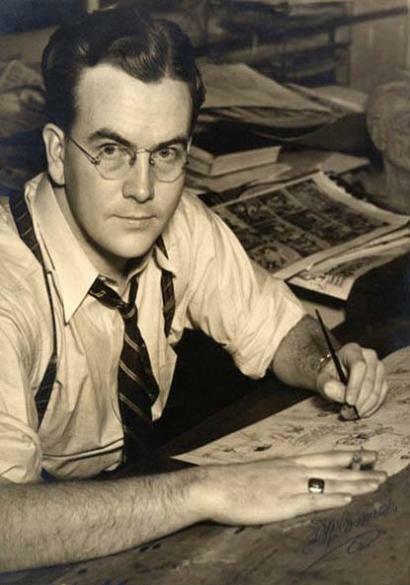 Another famous cartoonist, Carey Orr, suggested a correspondence school course. 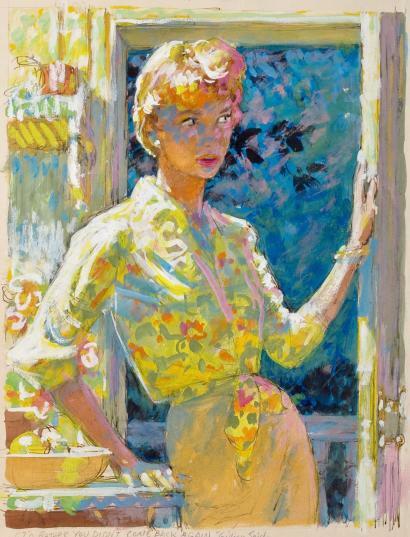 I enrolled, completed the course, and then studied nights at the Academy of Fine Arts in Chicago and the Art Student's League in New York. I really started out as a sports cartoonist, that is primarily what I still consider myself. 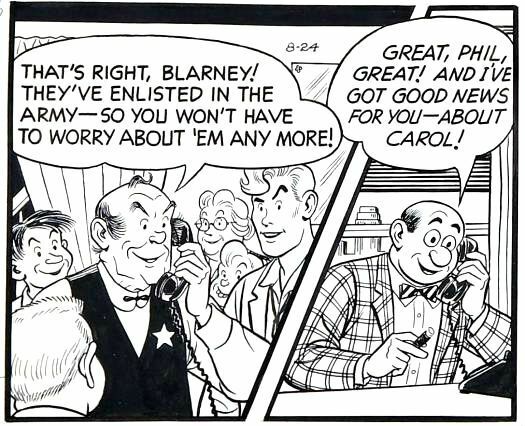 My character, Mickey Finn, was the basis of the present strip. He was a wrestler at first. Since I've always liked sports, tried to work sports ideas into the strip...and I still do. However, I think I exhausted the sports situations with Mickey himself, so I tried out new ideas for developing other characters more fully. Uncle Phil, for example, now dominates the strip. Years ago I really knew such a character...curly hair, sideburns and all. The idea clicked. If a new character does click, then I get to know his character well. I know what kinds of situations that character might get involved in. I work this out, and with the help of God, I come up with an idea for a story. I write my own material for the strip. I write out the background for continuity, then lay out the rough ideas on ordinary typing paper. I pencil in the balloons myself. Then I give it to my assistant, Morris White, who inks in the lettering.the strip comes back to me, and I carefully draw in the characters. Since I draw these very tightly, there isn't much left for my assistant to do but ink them. I always talk over story ideas with Morris, and we make changes as we go along. We do the daily pages first, then the Sunday pages. Unlike some cartoonists today, I also draw in my own backgrounds. I draw in the women, too, but since, as I said, I'm primarily a sports cartoonist, I'm not too good at drawing beautiful women. I sketch them in, and my assistant proceeds to beautify them. 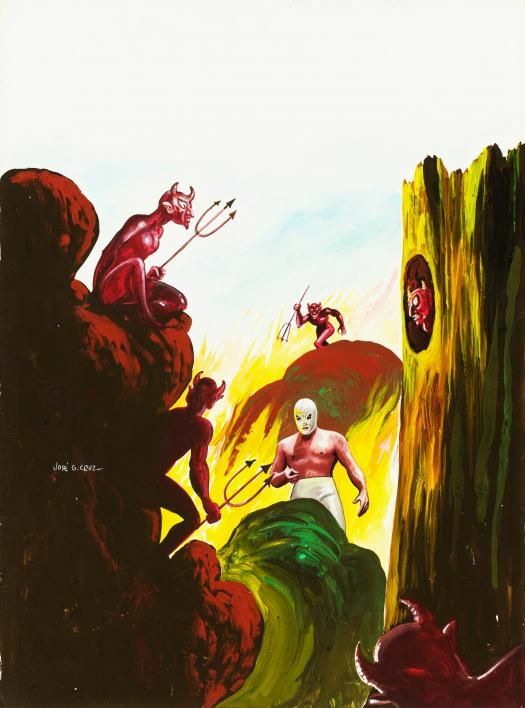 From the tremendous success of his wrestling career as Santo, Rodolfo Guzmán Huerta was approached in 1952 by editor Jose Guadaloupe Cruz to produce as series of comics based on the character. 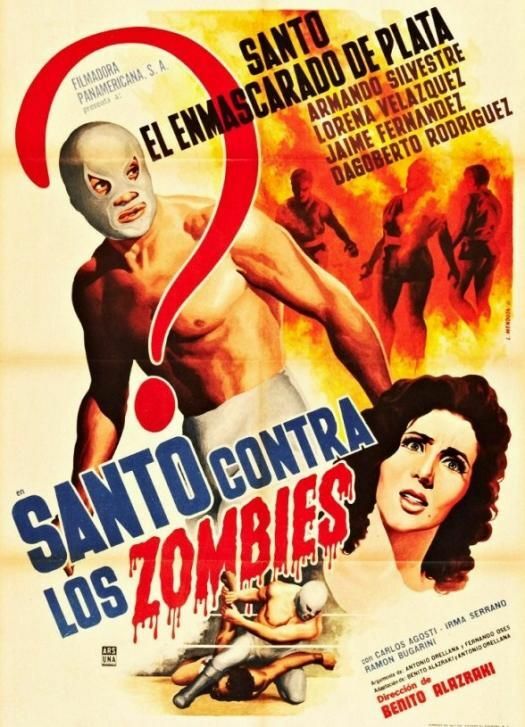 Using a technique he developed years before of collage and photo composition for his comic books, the Golden Age of Santo debuted on September 3, 1952. In the origin story we have a masked avenger helping the defenseless citizens of Santa Cruz from crime lords, when our hero is mortally wounded one night by a gangster, he struggles to return home to his young son. Santo requests the boy to carry on the legacy wearing the famous silver mask, as the tale jumps sixteen years in the future to see the new Santo avenge his father's murder. 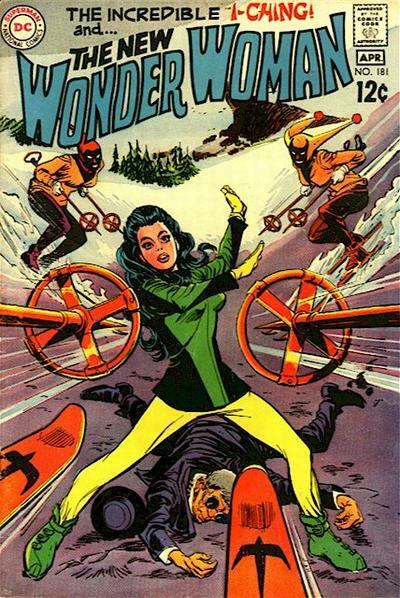 Starting out fighting common criminals in the first issues, the series later took a weird turn in the 1960s as Santo now fought supernatural forces and weird villains. Sporting painted covers by Jose G. Cruz, there were plenty of witches, vampires, mummies, zombies, werewolves, and an occasional troll to fight our wrestling hero. 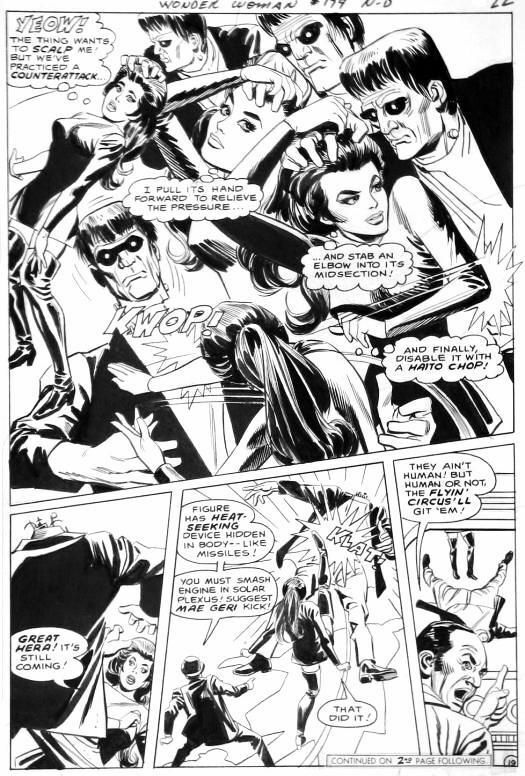 Since Santo and the supporting characters were photographed, cut, and pasted onto the comic pages, while the weekly villains were usually drawn into place, it created a different "scrap book" effect that provided interesting compositions not seen in other comics. Devoted to the Virgin of Guadaloupe, Santo and his famous silver mask developed a legend that if his true face was ever shown, he would die a violent death, and this religious connection gave him supernatural strength to deal with the many demons and dangerous animals he confronted. Published twice weekly, the wrestler was now becoming more famous outside the ring than in, especially with his first feature film produced in 1958, and his extremely popular fifty two supernatural and sci-fi movies to follow up until 1982. 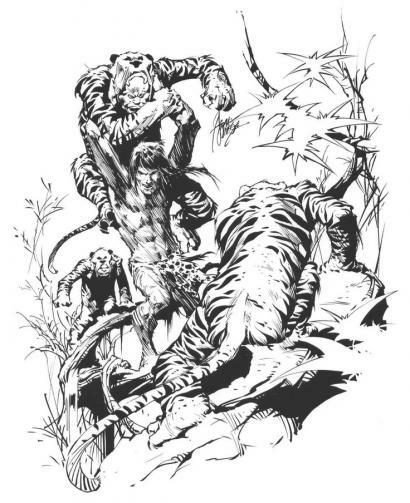 The later comic stories had Santo support a larger cast including his child protege, Bobby, Argo, an alien friend, Kyru the white sorceress who loved him, Ik the troll from the center of the earth, and other zany characters. The villains of the issues were just as colorful with Cahuatzin, head of the ancient Aztecs, Manya, the evil red witch, Tubek, the hypnotist criminal, Ali Gazah, the magician guru, and Kroto a murdering scientist, just to name a few. 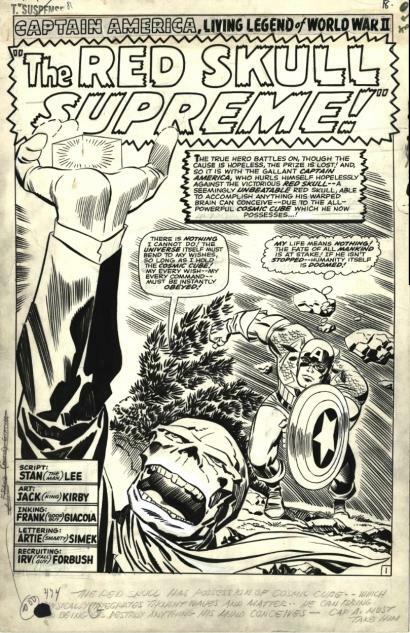 Later, after a falling out between Cruz and Huerta, a young bodybuilder named Hector Pliego donned the silver mask that now sported a snake shaped "S", a new belt, knife, and other changes to round out the whopping eight hundred and sixty four issues of this second series. 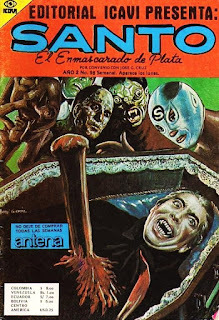 The third incarnation of the feature debuted in 1976 with the Colombian reprints of the Mexican issues by Editor Icavi and later continued by Editor Vord for two hundred eight six issues before it last series with Editor Cinco in a smaller digest format. 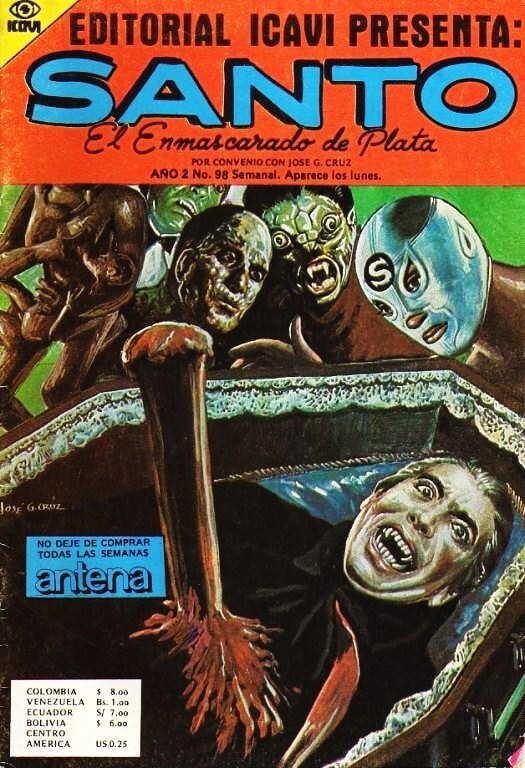 Jose G.Cruz who was the driving force as a comics editor, artist, screen writer, and actor, was never one to pass up a good image for his Santo covers. His many artistic swipes were numerous and easily spotted on the comics whether it be from a Hammer horror movie to the classic Star Wars, but that was part of the charm from this unique "common man" character that became a pop icon in Mexican culture having his comic run continuously for thirty five years finally ending in 1987.